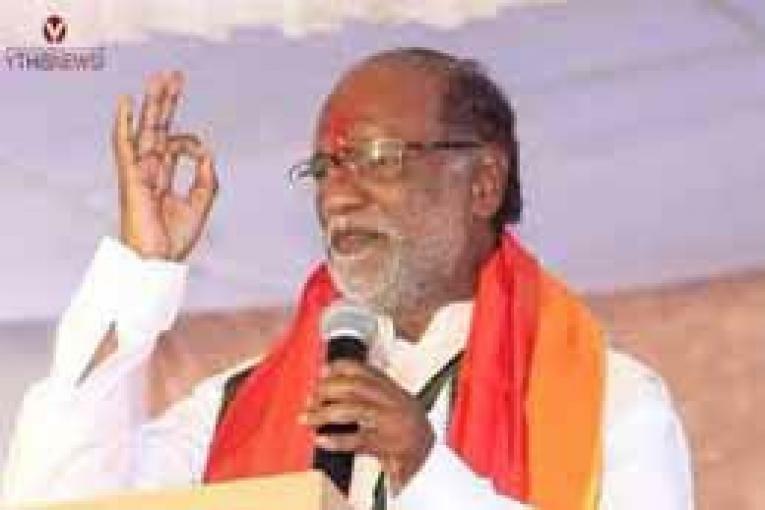 Hyderabad, March 18 (Maxim News): State BJP president Dr K. Laxman on Monday ridiculed the tall comments of Chief Minister K Chandrashekhar Rao that he would rule the country by forming a national political party and teach a befitting lesson to both the Congress and the BJP. Leave alone ruling Delhi, Laxman said the Telangana CM cannot even turn a spindle at the national capital. Addressing the media here today, Laxman condemned the comments made by the Chief Minister against Prime Minister Narendra Modi. He also took serious exception to the foul language used by KCR and his party leaders. Referring to the statement of KCR that Telangana State emerged as No. 1 in the country in the implementation of various welfare programs, Laxman wanted to know as to what the CM had to say about luring Congress MLAs into his party. He also alleged that KCR had turned the State into a debt-ridden State from a revenue surplus State. Ridiculing KCR for making tall claims that he would rule the country, Laxman said KCR always confines himself to his farm house and preaching sermons on national politics. The State BJP chief bemoaned that the Chief Minister was purchasing MLAs from other parties like cattle in the market. He also asked KCR whether he would rule the country from Pragathi Bhavan like he was ruling the State from his farm house. Laxman asked KCR not to indulge in day- dreaming in Pragathi Bhavan. Warning KCR that his strange strategy would not work in national politics, Laxman sarcastically said the Chief Minister was trying to impose China model single party ruling like his family rule in the State. “You are not ruling the State in the right direction but only indulging in luring MLAs from other parties.